The neighbors across the hall recently had a baby, so I knit some bibs for a baby gift. It looks like $10 ebooks probably earn more money than $15 ebooks. “The right to be spoiler free“. Try changing the font to proofread your own writing. The evolution of the Kindle. Poetry break: “The Sciences Sing a Lullaby” by Albert Goldbarth. Another TARDIS Little Free Library. The FDA’s new gluten-free labeling standard is now in effect. Gluten-free cooking and baking tips from the Gluten-Free Goddess. A humorous high-level look at hockey stats. Kids reacting to a typewriter. 21 slang terms from World War I.
Unsurprisingly, web-connected appliances are not very secure. 4 pie crusts that are easier than lattice. 17 recipes you can make with a can of chickpeas. Swiss chard taco wraps with cumin-lime sauce. Mushroom lentil tacos with tahini yogurt sauce. Salmon with Thai curry sauce and rice noodle salad. Grilled chicken and asparagus salad with dilly farmers cheese dressing. Chicken and green bean stir-fry. A short film made from knitted scarves. LEGO’s female scientists line is now available. “Researchers can hack airplanes through in-flight entertainment systems“. Important information from Stats Canada. Jaws summarized in a 60-second animation. 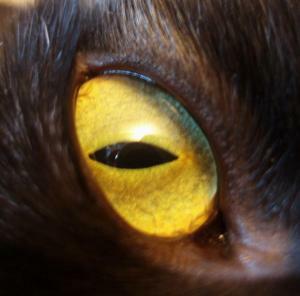 If I let him, Chaos would do this. Tiny bun! Kitten! Rock hyrax and babies! Kitten! Baby penguin! Leopard and babies! Tiger and baby! 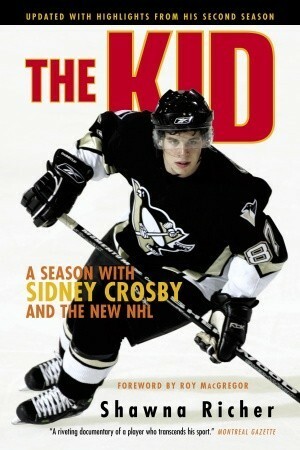 The Kid: A Season with Sidney Crosby and the New NHL by Shawna Richer. Very good account of Sidney Crosby’s rookie season with the Pittsburgh Penguins in 2005-2006. I’m pretty sure that any use of the phrase “beestung lips” is too many – this book used it three times! As a Pens’ fan, it was fascinating to discover the origin of the much-repeated taunt about Crosby diving (blame the Flyers) and disheartening to realize that several of the things Crosby knew he needed to work on during his rookie season (such as letting rival teams get him wound up to put him off his game) remain problems for him today. 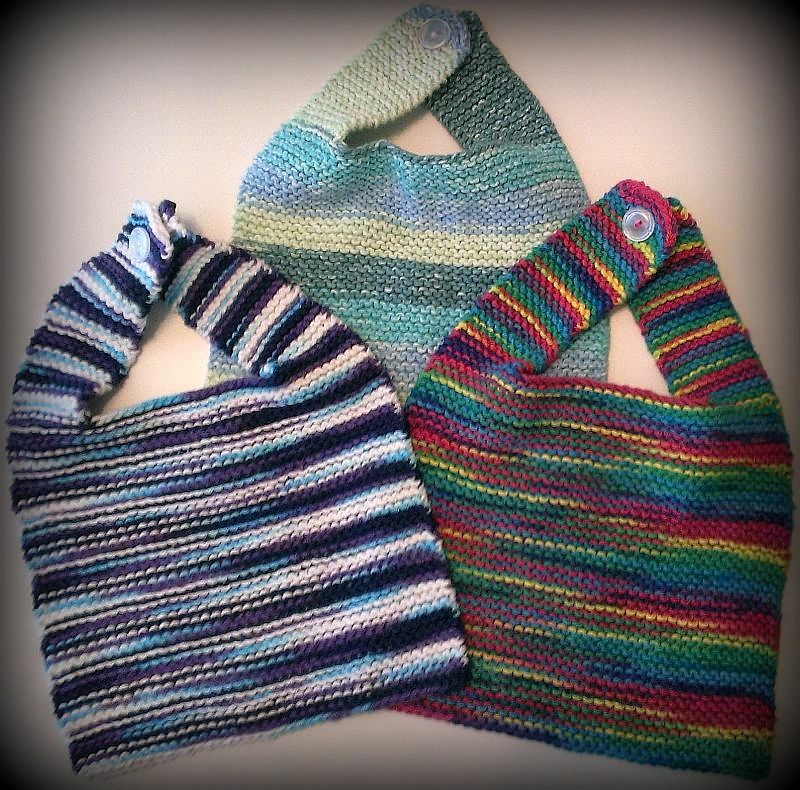 Posted by Chris on Friday, August 8th, 2014, at 2:00 am, and filed under Knitting, Linkity linkity link, Reading, Reviewettes. Oh no, time to leave for work and I’ve barely made a dent! You have heat? Finally summer, so it’s no wonder the kitties are confused (and sleepy). The evolution of the Kindle gif was hypnotic. I have had so many generations of Kindle. I so glad that you’re having some pleasant weather and hope it stays a while for you. I sure your neighbor appreciated the personal, handmade gifts of the cute bibs. Chris- the weather here has been great too- not hot or humid. OMG- Singapore Slings- I got hammered on those more times than I can count. You are knitting, yay! I want several of those mugs, even though I never use mugs. I jusst want them, preciousss. My head virtually exploded when I saw only half a Mayhem. As it does whenever the word “literally” is used incorrectly. I now direct anyone who misuses “literally” to Weird Al’s “Word Crimes”. I refuse to accept “literally” as a new word meaning “figuratively”. Oooh, editing your work in a different font is a good idea. I think I’ll probably also edit on a different device – such as write on the iPad, edit on the laptop. Some of those cakes look lovely, but I really only need one type of (non-cheesecake) cake: yellow cake with chocolate frosting. Yum. Though I have to say I wouldn’t ever turn down a mud pie (similar to the coffee ice cream cake).